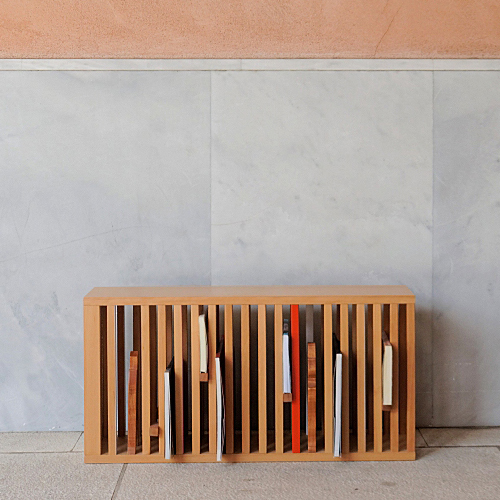 An anti-bookcase - Inspired by the book Invisible Cities by Italo Calvino. Made of locally lacquered beech wood with an integrated mirror. Isidora is the ideal city, where travelers always arrive late, when their memories have overpowered their wishes. 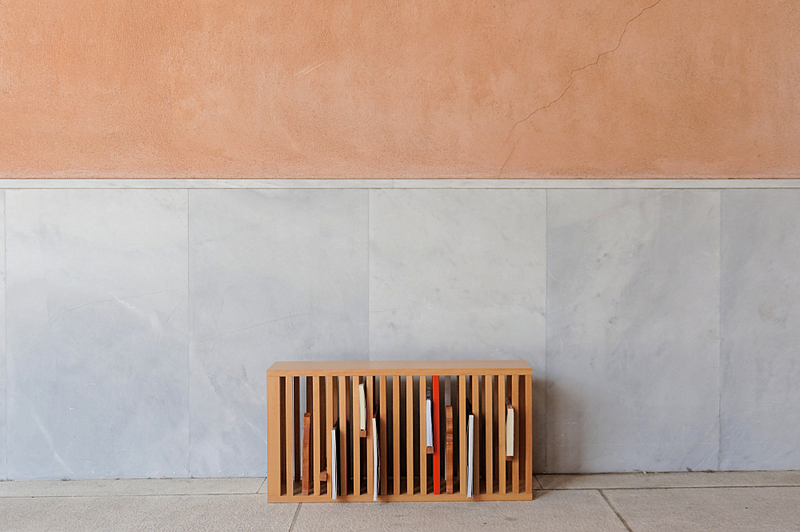 This city feature led to the creation of an object functioning on two distinct levels: as a model of the road leading to Isidora and as a quasi non-functional object, a tabletop bookcase. The road to the city is long, bearing different colour or form “episodes” that distract the traveler and delay his/her arrival. This non-bookcase is made in such a way so as to carry real books; however, the more the books, the more the obstacles travelers meet. Books help us “travel” the road leading to the wishes we form in our minds while reading them or when we, later on, share with other people the stories we read. The main function of this bookcase –if there is one- is to be a reminder.